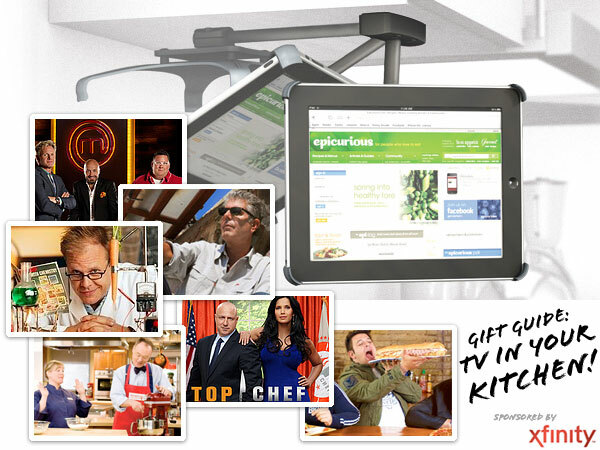 I was never big on having a TV in the kitchen… but the iPad as been my TV in there lately… also my cookbook… For the TVing, i let it grab my TV from the living room on my iPad via Slingbox to watch recorded shows, etc… Slingbox HD - Plug it in to your TV at home. The watch your TV like normal through the app available for your iPad! Griffin Loop - such a nice simple design, you could probably use it for other things in the kitchen too. 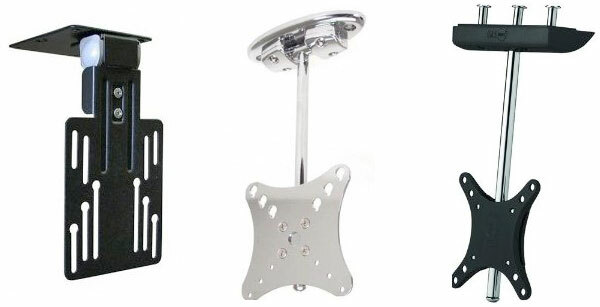 The Wallee - an easy mount you can put just about anywhere! Griffin Cabinet Mount for iPad It can literally fold up and away into your cabinet… or swing out to help/entertain/both while you’re cooking! So what’s our sponsor, Xfinity TV, offer you to stream? 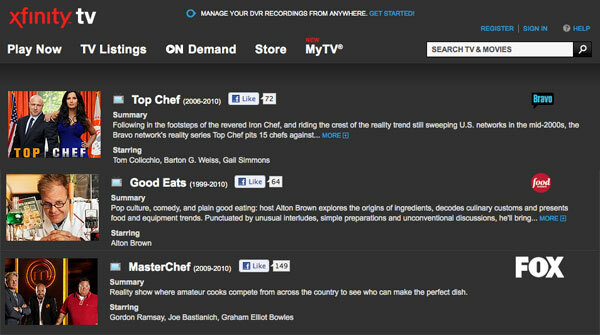 In the cooking realm, Xfinity TV has shows like Top Chef, Master Chef, and Good Eats available! 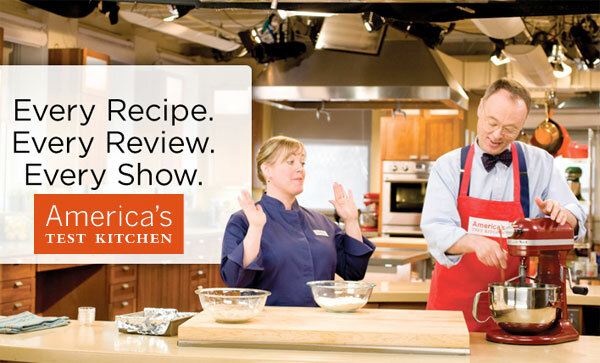 Curious what else Tasteologie editor’s would stream while experimenting in the kitchen? 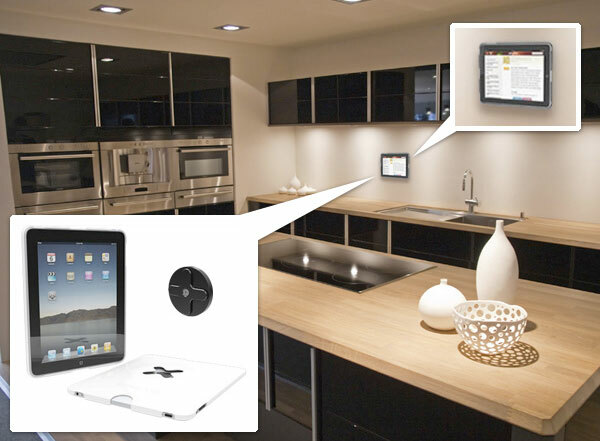 Nice guide, we’ve been thinking about some kind of TV setup in the kitchen, preferably a “real” computer with internet access. I like some of these mounting options already.